A honey bee swarm in transition to its new home. Spring with its warmer temperatures and blooming flowers, who doesn’t love it. 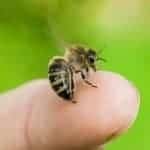 As a beekeeper, I look forward to seeing my honey bee colonies grow. 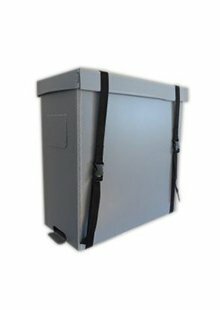 Will this be a good year of colony growth and honey production? Only time will tell. However, dealing with honey bee swarming activity brings aggravation for many beekeepers. 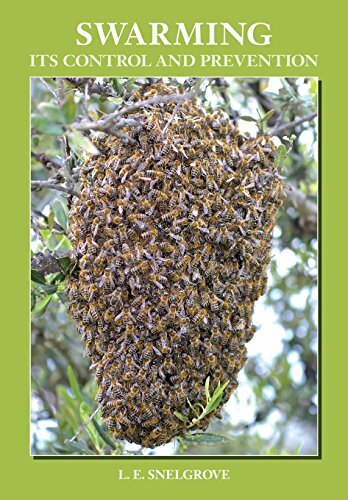 Swarming is reproduction on the colony level for honey bees. They make more colonies by growing a large family that then splits into 2. These 2 smaller colonies must now work hard to establish themselves before winter. The goal of the beekeeper is to have bee colonies that produce excess honey. Honey bee swarming may give a beekeeper more colonies. However, colonies that swarm produce less honey. It seems that the beekeeper and the bees have different goals for the year. This beekeeper is catching honey bee swarm from a small bush. 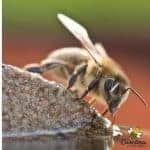 This article is a roundup of my top honey bee swarming posts. Many books have been written on bee swarms. 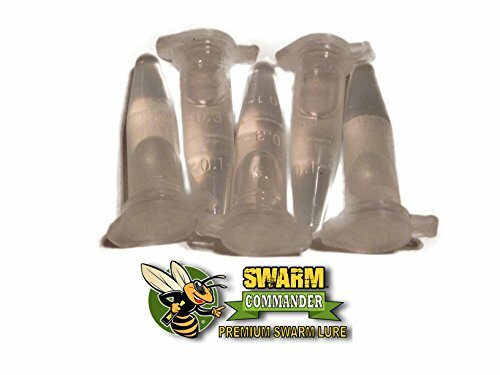 You will hear of numerous methods for preventing swarms. Some of them work some of the time. None of them work all of the time. Making splits will help you grow your apiary but not everyone wants more beehives! If you are a beekeeper, you will experience honey bee swarms. That’s okay, you have not failed if your bees swarm. It only means that you have a colony that is healthy enough to swarm and that’s not a bad thing! These posts arm a beekeeper with tips and techniques on catching swarms. If you can’t stop honey bee swarming, make the best of things and catch them. You also may be able to catch a wild bee swarm. That is great fun. Click the links below to learn more. Like many other beekeepers, I attempt to reduce the number of swarms in my beehives. Why? Well, because I want to produce honey. Also, swarming is a risky time for the bees. The new colony must create a honey and build up enough bees and resources to survive Winter. The original colony has lost half of its working population. And it must go through a requeening process. The mature queen bee normally leaves with the swarm. If requeening fails, the original colony may not survive. Honey bee swarming is a natural occurrence but it is not without risks. Every honey bee colony lives through various stages of development. The rules governing the colony are determined by instinct and natural conditions. We beekeepers will be more successful when we try to work with the bees’ natural tendencies. Can you always stop honey bee swarming? No. You can’t fight nature but sometimes we do try to wrestle with it.